Trusting helps you in your personal development. 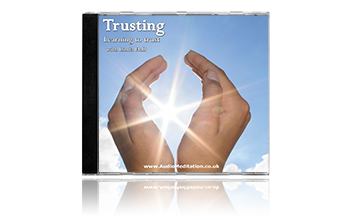 When you have lost faith or belief in the future this meditation cd will coach you in how to be confident, learning to trust again. Gentle confidence building exercises teach you how to stop negative thoughts, raise self esteem and develop coping mechanisms for stress and anxiety. We need to be able to trust in ourselves, our endeavours and in the future if we are to have a full, rewarding and happy life. Ideally, the ability to trust develops naturally in early childhood, but if the right environment wasn’t there for this to happen or if our ability to trust has been ‘knocked’ through our experiences in later life, we may find it hard to trust. 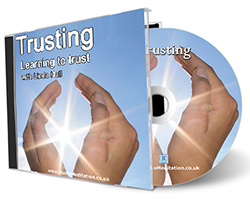 These supportive and empowering meditations aim to restore the ability to trust.